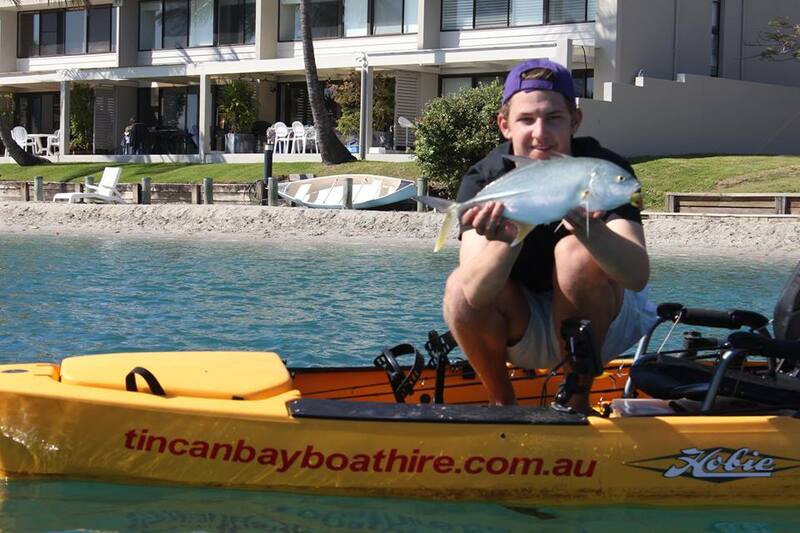 Home » News and Updates» Cameron’s trip to Noosa on the Tin Can Bay Boat Hire Hobie kayaks. 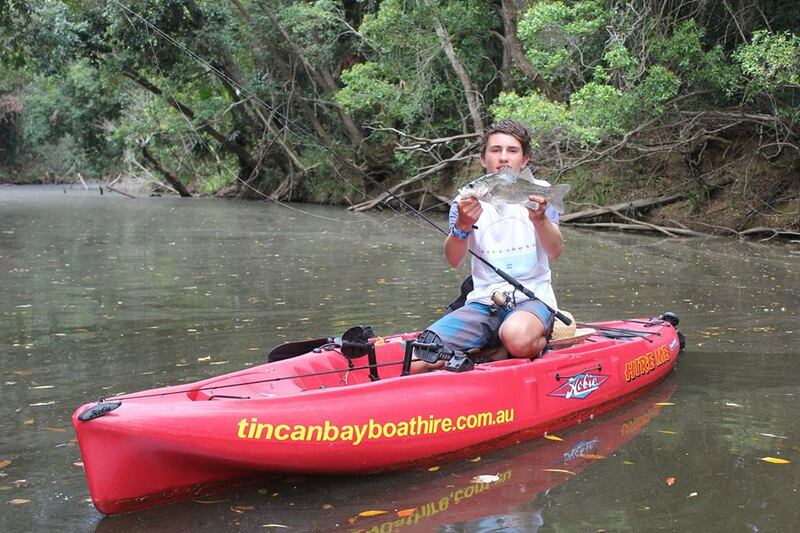 » Posted by Admin on Oct 29, 2014 in News and Updates | Comments Off on Cameron’s trip to Noosa on the Tin Can Bay Boat Hire Hobie kayaks. 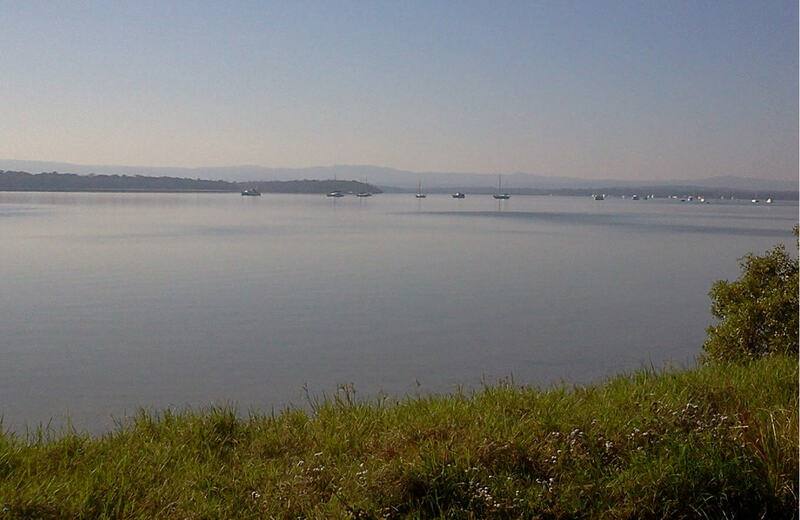 During the school holidays just past we were lucky enough to travel up from Sydney to spend a week in Noosa, sampling some fantastic fishing options available for those who are visiting the area. 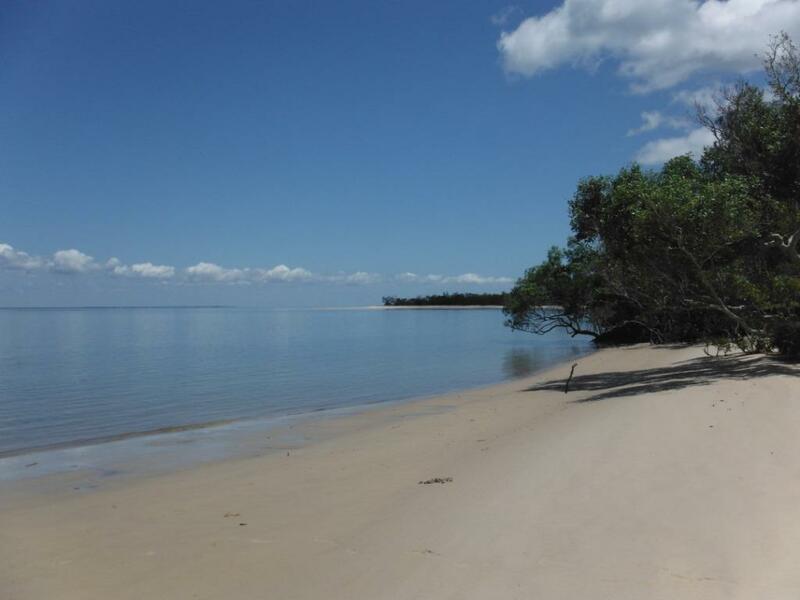 Initially, we planned to fish from the shore, although after we came across the fishing vessels on offer from Jim and Naomi and their business Tin Can Bay Boat Hire, things quickly began to change for the better. 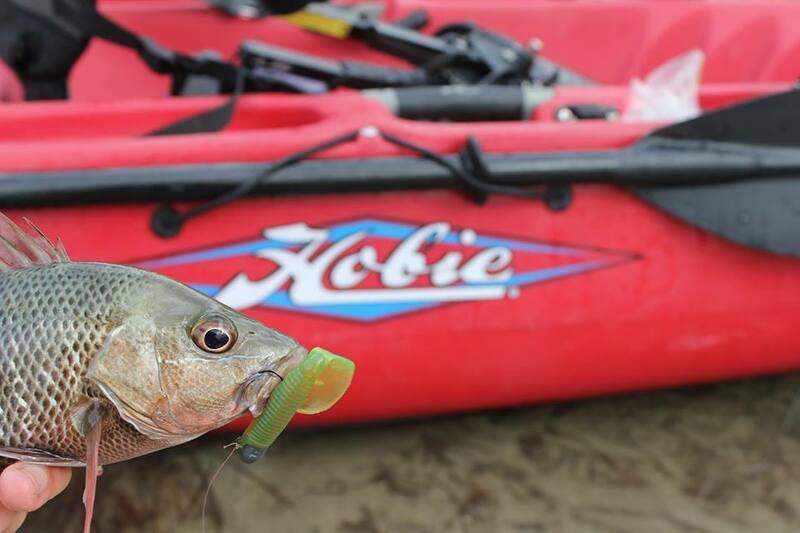 Given our experience using our own Hobie pedal powered or “Mirage Drive” kayaks back in our home waters of Sydney, we were pleasantly surprised to see the exact same models up for hire that we use back home, The Hobie Pro angler and Ouback. 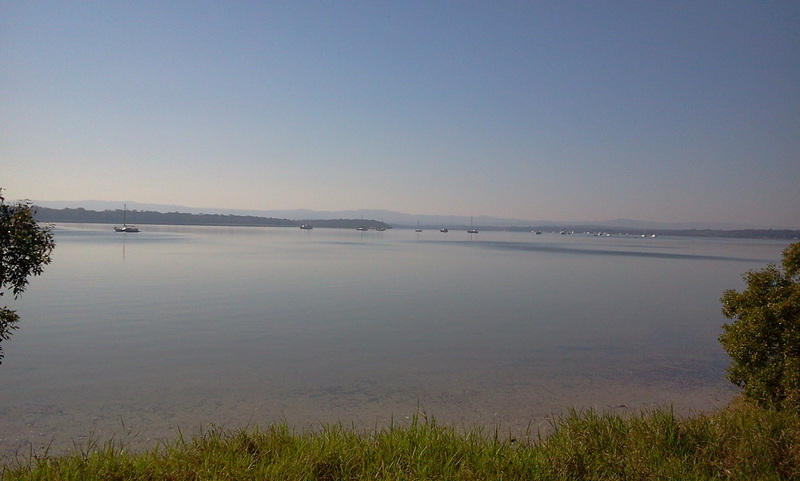 Despite the obvious distance between Tin Can Bay and Noosa, Jim and Naomi were happy to accommodate by dropping off the kayaks at out hotel for a very reasonable price, which was awesome as it allowed us to start fishing straight away. Mirage drive Kayaks are unique in that they allow the angler to peddle against wind or current and steer with a rudder, leaving your hands free to fish no matter what the conditions. 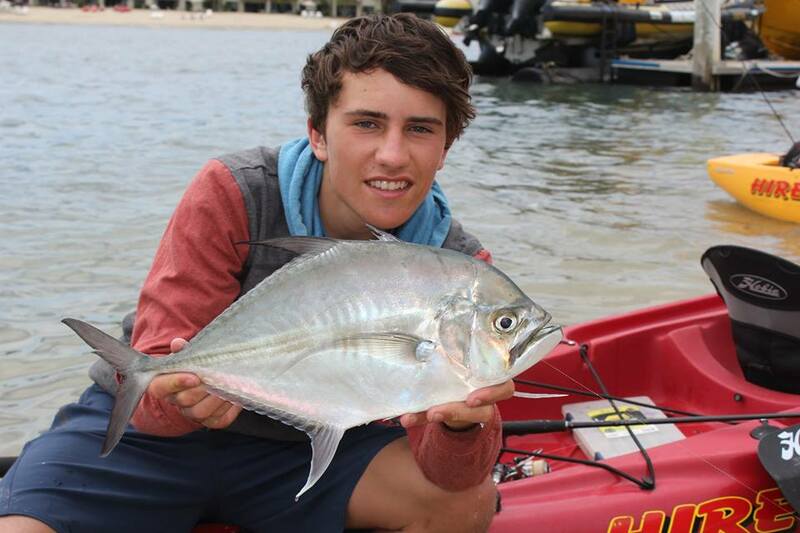 This was absolutely invaluable while fishing in the strong current of the Noosa River, allowing us to hold position over schools of fish located on the kayak’s fish finder, resulting in some great fish being caught. 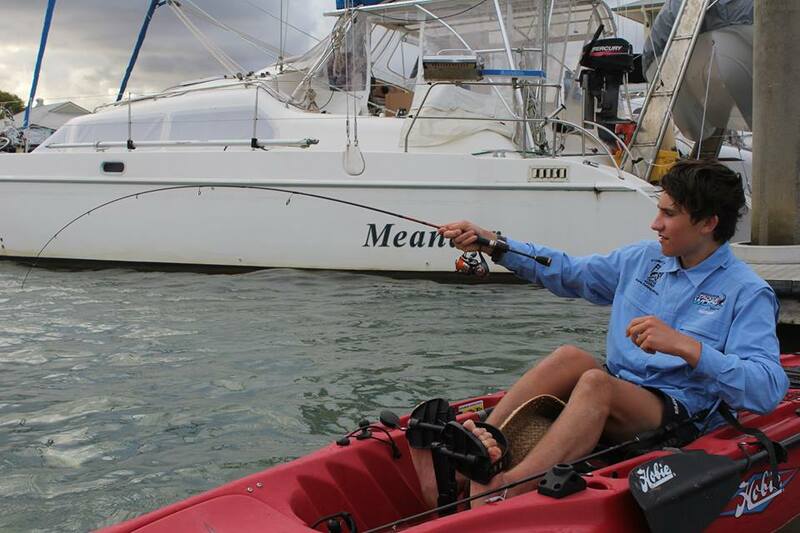 Our aim on the trip was to catch as many fish species as possible, and over the course of the week we caught and released 13 species from Mangrove Jack and Bass in the secluded upper reaches of the river to Trevally and whiting near the ocean. 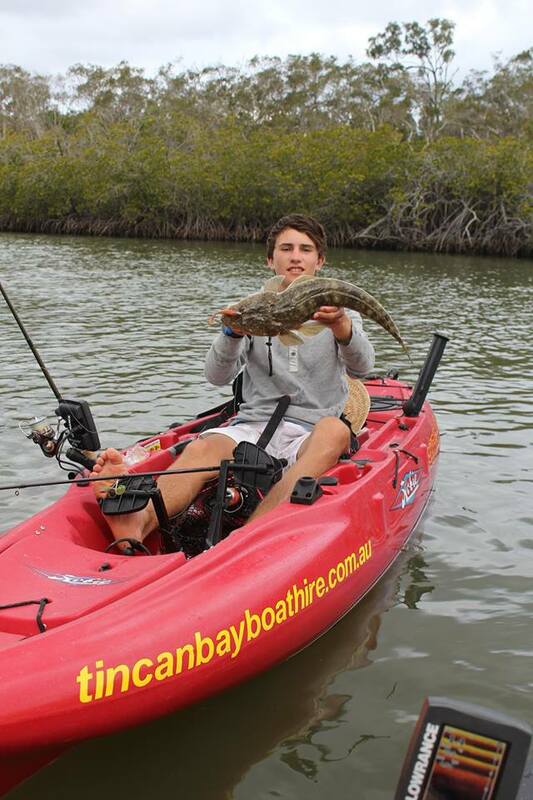 Being peddle kayaks, the hobbies are far less tiring to operate over long distances than conventional kayaks which allowed us to travel further each day and access some magic water and catch fish that would be uncatchable in any other craft. 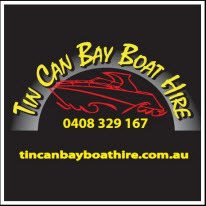 If you are heading up for a holiday around the Tin Can Bay region and looking at spending some time on the water, you could definitely do worse than check out the fleet under Tin Can Bay Boat Hire. 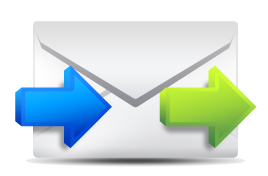 It was an absolute pleasure fishing from such high quality, well maintained vessels, and I’m already looking forward to my next trip up!